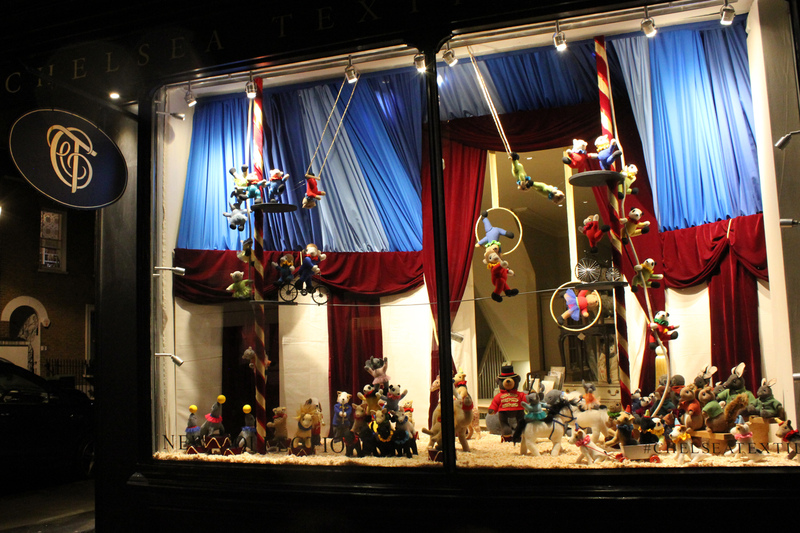 The Christmas windows at Chelsea Textiles in London with the theme Circus. An amazing installation with over 100 animals in wool! 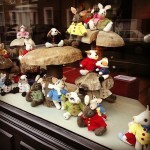 The window display for Christmas at Chelsea Textiles in London, look at Instagram, it’s amazing! 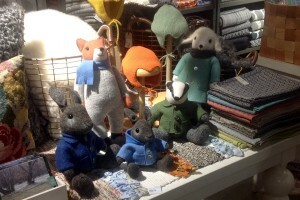 New retailer in Stockholm, Svensk Hemslöjd on Norrlandsgatan, are now the home for som new wooly animals. New shop opening soon! 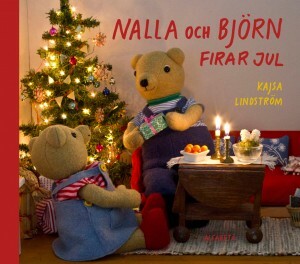 Now the animals move to a new adress, Stora Gråbrödersgatan 13 in Lund, where they will blend with toys, children’s books and presents. 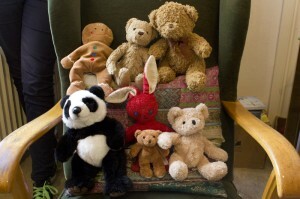 You will be able to watch the whole production of the soft and wooly toys aswell as look into the settings. The shop opens in August but the animals in the display will be for sale. Questions? Just contact Kajsa mobile 073-8007289. New book released! 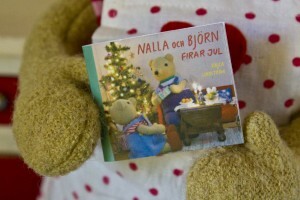 In time for Christmas you can read about the bears preparations for the big day. They are making cakes, playing in the snow and have some secret gifts to get ready…. 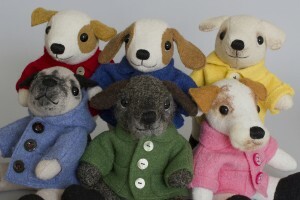 The new dog collection with different breeds dressed in bright spring colours is launched. Watch some puupies in the shop/ wooly animals! 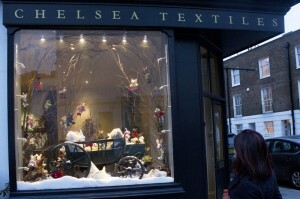 The window at Chelsea Textiles at Walton Street in London this fall. 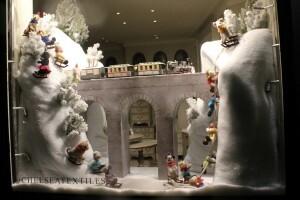 A big display with Christmas theeme will be shown in December. 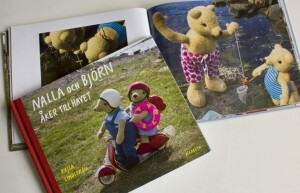 The book “Nalla and Bjorn bulds a kite” was nomianated amongst the debutant writers of books for children in Sweden 2011. 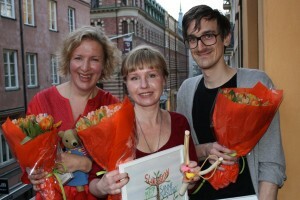 The prize was won by Sanne Näsling, we all recieved flowers and diploma and had a nice evening together celebrating! 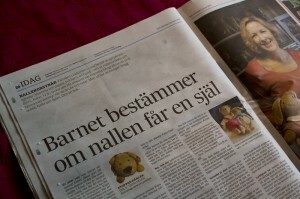 Article from Svenska Dagbladet published January 2nd 2012. Headline: The child decide if the teddybear gets a sole. 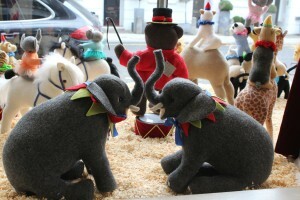 Window display with Christmas theeme at Chelsea Textiles, Walton street in London. A wonderful winter scene with all cosy animals in wool posing in a wagon. 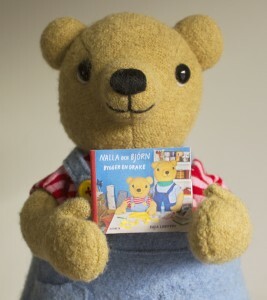 Book signing at the Teddybear Show at Kronprinsen in Malmö on Sunday October 23rd. 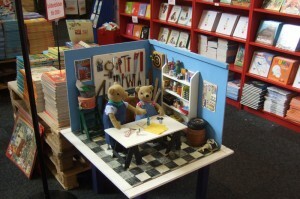 The teddybears kitchen and workroom showned in the book will be displayed. Soft and wooly animals will be for sale. Open between 11-16. 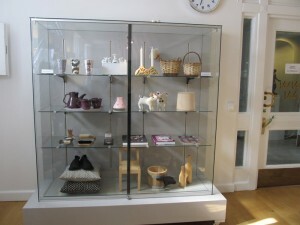 Two pigs are displayed in the Swedish Embassy in Copenhagen, all arranged by Form/Designcenter in Malmo. 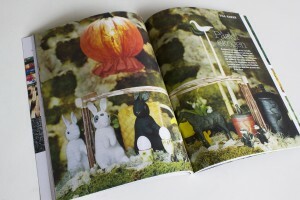 Nalla and Bjorn shows their studio in the annual Book Fair in Gothenburg September 22-25th 2011. 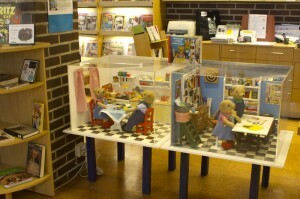 Now you can say hello to Nalla and Bjorn who has moved in to the library at Fäladsgården in the north of Lund. Their kitchen and workroom are dispalyed until September 17th. 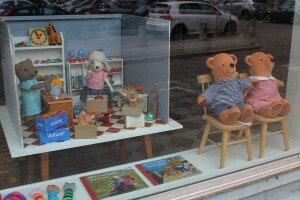 It seems like the school children are enjoying the company of the two bears. 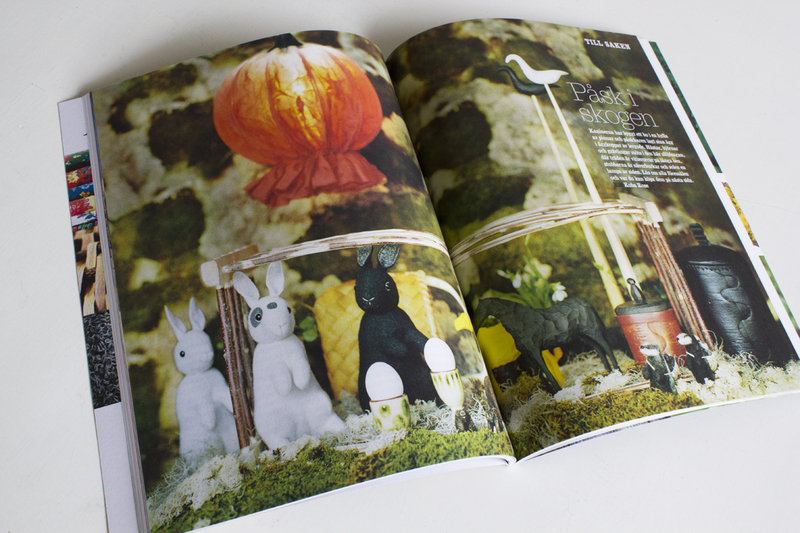 Easter bunnies in the magazine Hemslöjden (Swedish arts and craft).